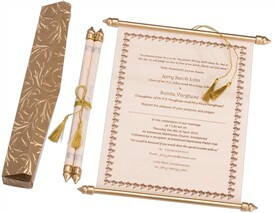 S1018, Cream Color, Scroll Invitations, Jewish Invitations, Only Scrolls. 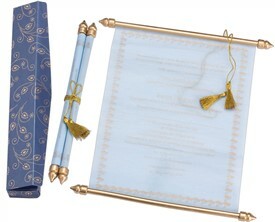 This invitation is a box with a scroll. 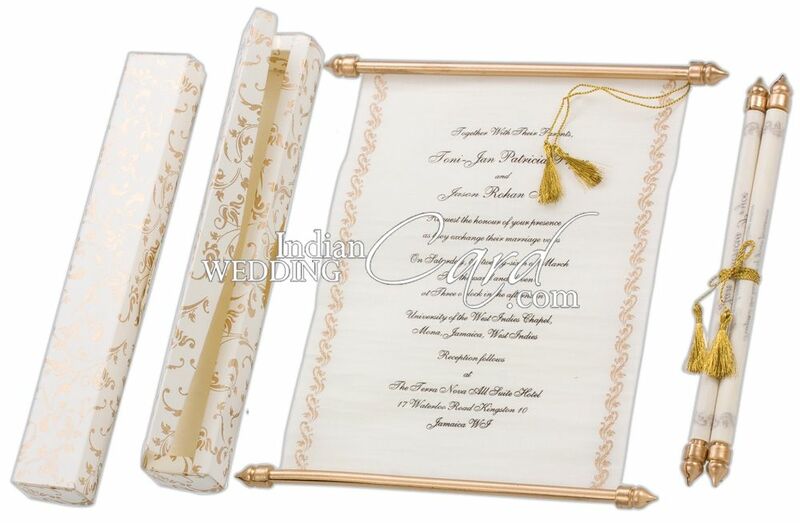 Box has golden ornate design printed all over. 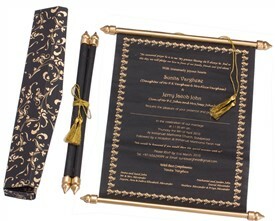 Scroll is in black color while golden bars and gold tassel give finishing touch. 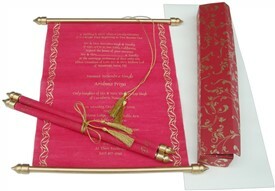 Cream color paper (250gsm) for box. Scroll on cream wooly paper.